Just putting Event Post change up here. 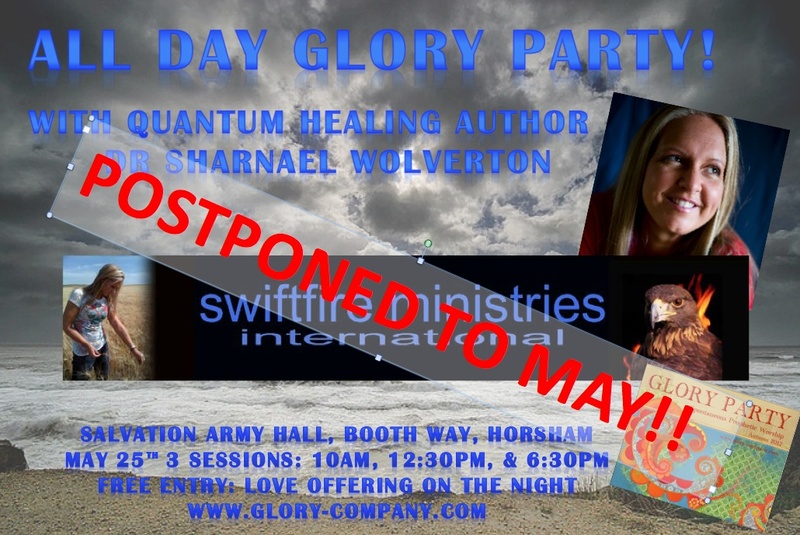 We were meant to be having Dr Sharnael Wolverton (www.swiftfire.org) next weekend, March 16th, for an all day Glory Party speaking on Quantum Healing Glory. However, Papa’s changed our plans so they align better with His plans. So we’re postponing Sharnael until the end of May. 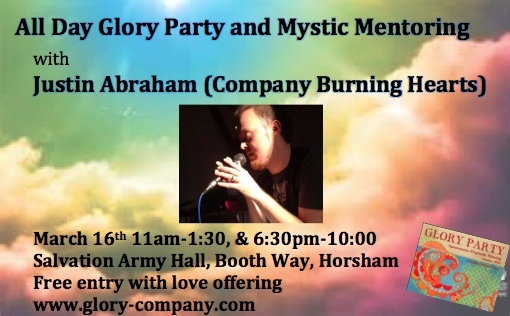 As we have the venue all day, instead, we’ve decided to have an all day Glory Party with mystic mentoring from Justin Abraham of Company of Burning Hearts (http://companyofburninghearts.wordpress.com/) . This will be a time to worship in the joy, soak in His presence, and have Justin speak into us from his own experiences to help us all delve a little deeper into the mysteries of the Kingdom of Heaven. The bible tells us that the mystic secret is Jesus Christ. So a day of mentoring will be a day of deeper revelation of who He is in us, with some practical words on how to engage with Him, plus time to practice it on the day. As we have all day, we’ll do a leisurely start at 11 am, then a long meal break, and start back up again at 6:30 pm. Free event, and we’ll take a love offering. Very looking forward to it! Blessings! See you there!